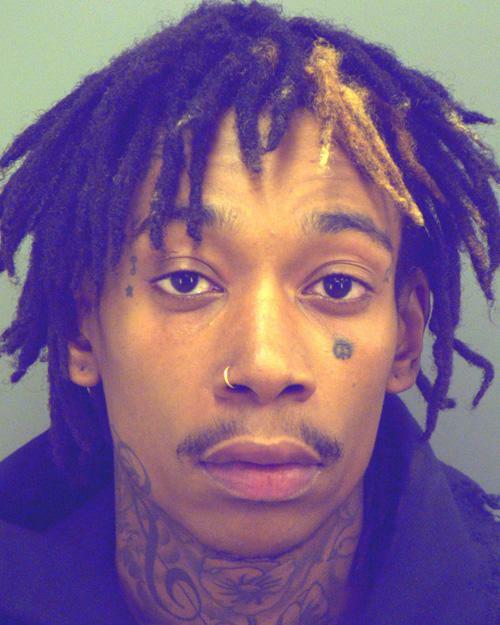 Rapper Wiz Khalifa (real name: Cameron Thomaz) posed for the above El Paso Police Department mug shot in May 2014 after Texas cops charged him with pot possession. The performer, 26, attempted to board an airplane without proper identification and was searched by Transportation Security Administration officers who discovered a small amount of marijuana in his possession. He was booked into the local jail on the misdemeanor charge before posting $300 bail.